You can read the short explanation in my piece rating the NRL halves pairings of 2018 or the longer primer. StatScore is an attempt to quantify a player’s performance in one simple, easy to use number. It is absolutely prone to stat-padding and favours some positions over others. The point is the bigger the number, the better the player (generally speaking and taking into account a number of caveats, in addition to the philosophical implications of reducing a range of different roles, complex events, playing styles and physical attributes to a single quantum). I have individual player statistics from 2014 through 2017. This makes it possible to calculate an end of year StatScore for each player in the NRL in those seasons. You can see a full listing of those scores here. I’m going to use StatScore and my own judgement to honour players based on their quantitative performance in a way that makes these awards far more meaningful than the mere subjective approval of experts. A cap for Team of the Year is awarded to the top players in each position on the field. Note that unlike rep teams, I’m not loading my backline with fifteen fullbacks. Instead, the two centre caps will go to the top two players by StatScore that predominantly played in the centres that year. Two exceptions: I treat halfback and five-eighth as interchangeable and I don’t look at left/right preferences. The top rated player in each role wins this award. From the top players in each role, I choose a winner based on my own subjective criteria. This is absolutely better than the Dally Ms because there are only three players in the running and the numbers decide who they are. The bonus is that you can’t accuse me of bias because I barely even watched rugby league for those years. The top rated player on the StatScore leaderbord wins this award. The statistics given under each player are their StatScore for that year, their Actual Win Share (AWS) and their rank on the overall StatScore leaderboard. The total AWS and Engine is given for each year so that you can compare that to a typical NRL team and from year to year. 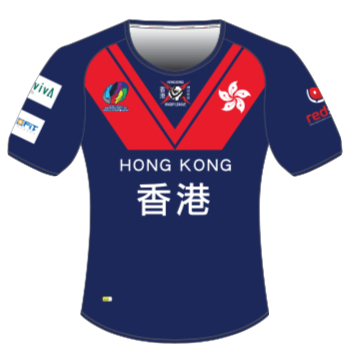 Each player’s position is determined by the jersey number they started in as per Rugby League Project. Sam Burgess led the South Sydney Rabbitohs to their first premiership in over forty years. He is the highest ranked forward ever, finishing third on the StatScore leaderboard in 2014 and he ranks twenty-ninth on the all time career StatScore, despite missing a season to play union. In 2014, Burgess received twenty-nine votes in the Dally Ms, was judged best lock and was awarded the Clive Churchill medal. In 2015, Roger Tuivasa-Scheck completely wrecked the StatScore curve. He is one of only two players to have exceeded a StatScore of 400, meaning he was more than four times better than the average back. Tuivasa-Scheck was awarded the 2015 Fullback of the Year (receiving sixteen votes), won a third minor premiership in succession with the Roosters and played in a rare Kiwi victory over Australia. Cooper Cronk is one-third of Melbourne’s big three, surpassing 300 games for the Storm on their way to the minor premiership and runners-up in the grand final. Cronk has been an integral part of Queensland’s dynastic dominance in State of Origin, adding another series to his palmares. He completed the 2016 season with a StatScore of 356, over 2 AWS and won the Dally M medal. Cronk is second on the all-time StatScore ranking. Jason Taumalolo’s ability to break tackles at will and build kilometres of attacking metres netted him a very healthy StatScore of 305 and fifth overall. His on-field power led a Cowboys team that most had written off to the 2017 grand final where they were ultimately defeated by the Storm. He was awarded twenty-five votes in the Dally Ms and a gross oversight for best lock. His decision to declare for Tonga in the World Cup may go down as one of the most important decisions by a player in the history of the sport. We’ll be back later this year to do it all again for 2018. Thank you and goodnight.